CodeUp Manchester is a mentoring program for adults who would like to learn how to code for free. 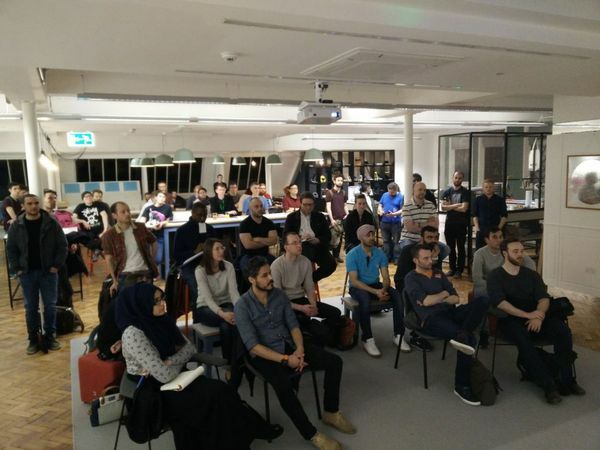 Once a month we provide a workspace for people with no programming skills to come and learn the basics, with mentors available to answer your questions and help you on your way. Our sessions will also be suitable for people with basic skills who need support to develop them, and even for people with intermediate or advanced skills who just want to come along to a space where everyone is immersed in code! We are currently running sessions on the 2nd Monday of the month at Code Computer Love on Dale Street.